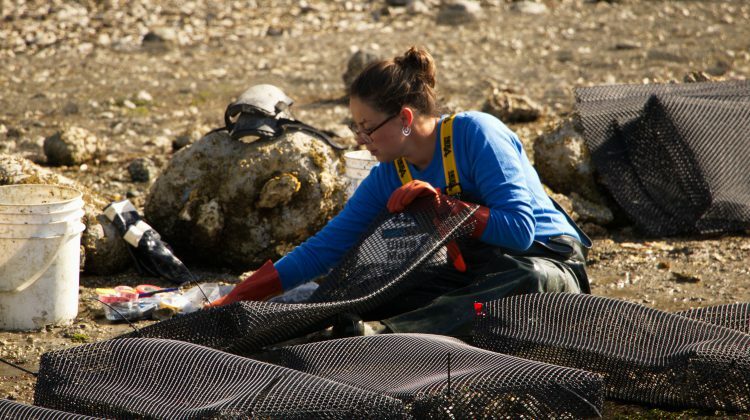 COURTENAY B.C – NIC is working to reduce the impact predators have on shellfish. According to a release from North Island College, the College’s Centre for Applied Research, Technology and Innovation (CARTI) has partnered with shellfish farmers on Denman Island on a project to help protect oysters from predators. The centre was approached by Han Pacific Shellfish Ltd, which grows oysters in beds along the shoreline of Denman Island. The company was having issues with crabs eating their stock and they reached out to explore whether or not they could collaborate with the college to help find a solution to the problem. Allison Byrne, faculty research associate with CARTI says that it was a great opportunity for the students and staff to work with an actual company on a research project. “This was a great opportunity for students to work with a client on applied research, and to form a new research relationship for NIC,” Bryn said. 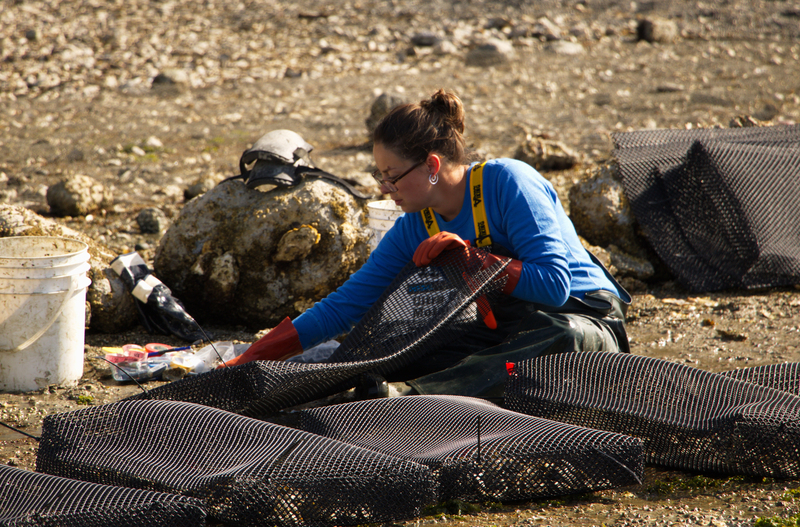 The money helped deploy different types of netting and contributed to the monitoring of the crab presence within the netted and control areas. Owners Han Tran and Dung Dau say the experience was worthwhile and the company saw an immediate benefit from both types of netting. “It was wonderful to work with the researchers at CARTI to develop a solution to the issue we were experiencing,” said Dau.